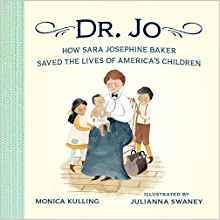 Monica Kulling is the author of two new children's books, Dr. Jo: How Sara Josephine Baker Saved the Lives of America's Children, and Eliza Hamilton: Founding Mother. 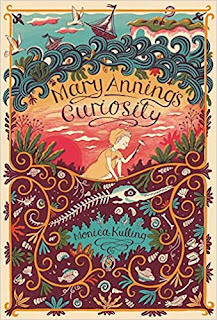 Her many other books for kids include Mary Anning's Curiosity. She lives in Toronto. Q: How did you learn about Sara Josephine Baker, and why did you decide to write this children's picture book about her? A: I was reading several books about Typhoid Mary, aka Mary Mallon, and kept coming across a doctor named Sara Josephine Baker who, in 1904 was enlisted by the New York Department of Health to capture and bring Mary in for testing. George Sober had identified Mary Mallon as responsible for several outbreaks of typhoid fever from 1900 to 1907. The Irish immigrant was a healthy carrier of the bacteria Salmonella typhi, and spread the disease via her unwashed hands and her peach melba. I started my research into Josephine Baker (not the dancer, but the doctor!) by reading Baker’s autobiography, Fighting for Life, which was published in 1939 and reissued in 2013. This book was a great resource, and practically the only one necessary, because it covers Baker’s entire life and is filled with anecdotes and real-life information that isn’t easy to come by on the Internet. The prose also conveys an intuitive understanding of Baker as a person. Be it truth or fiction, it’s a great story! A: The main thing I learned was the magnitude of the public health concern posed by the overcrowding in the tenements of Hell’s Kitchen in the early years of the 20th century. Every summer, thousands upon thousands of infants and children died from diarrhea. But after Dr. Jo showed up and energetically instituted her great ideas, by 1911, the child death rate had fallen sharply. By the time she retired in 1923, Baker was famous worldwide for saving the lives of 90,000 children. The programs she developed, many still in use today, have saved the lives of millions more. She fought for women’s suffrage, toured Russia in the 1930s, and captured “Typhoid” Mary Mallon, twice. Q: What do you think Julianna Swaney's illustrations add to the book? A: Swaney’s illustrations are lovely. While they may not depict the bleakness of that time and place, they are perfect for their intended audience. They also magnificently capture the good doctor’s courage and indomitable spirit. 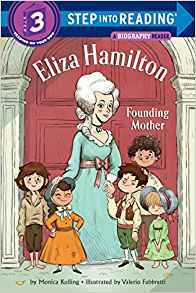 Q: You also have another new book out, a biography of Eliza Hamilton. What do you hope kids learn about her? A: I hope that both girls and boys will see what a strong and vibrant person Eliza Hamilton was. She made her own significant contributions to early American life, being particularly passionate about helping orphans. She lived for many more years without her illustrious husband than with him and had much to bear while giving so much of herself. For me, she represents a strength not often seen today—the ability to keep one’s own council while doing the best you can for those in need. A: I am researching, reading, and taking notes for a novel I plan to write over the winter. My first novel, Mary Anning’s Curiosity, was released in May 2017. I’d like this one to be similar in look and length. A: Thank you, Deborah, for your continued interest in my work and for including me in your delightful blog. --Interview with Deborah Kalb. 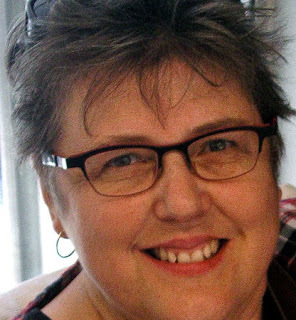 Here's a previous Q&A with Monica Kulling.